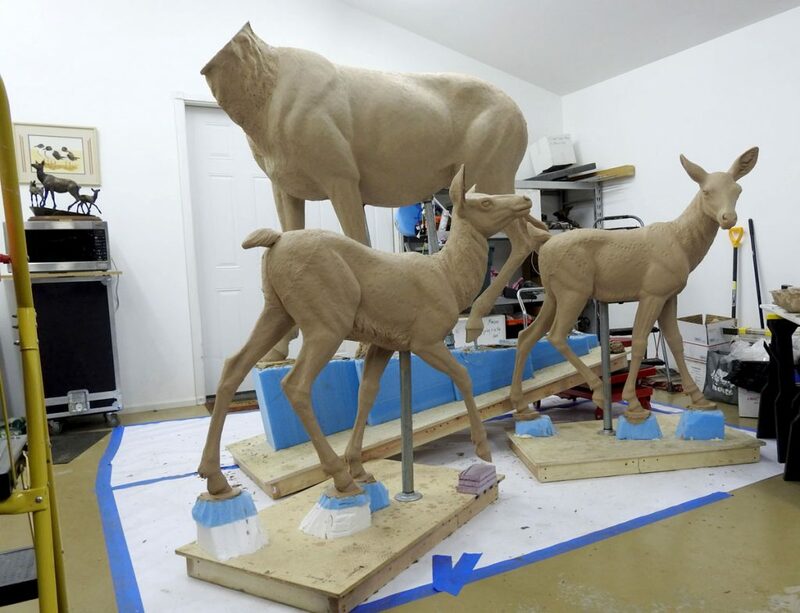 Making steady progress on the elk monument for the City of Golden. 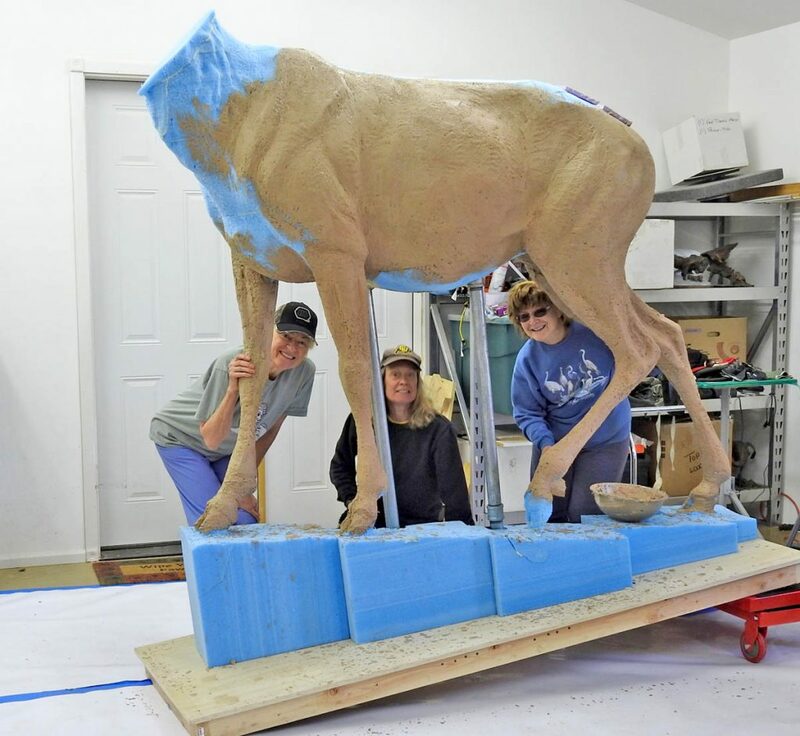 I am so grateful to Diane Mason, and Sue Arinello (both of which are accomplished sculptors in their own right) for volunteering to help me apply the first coat of melted clay to the refined foam sculpture. This part is very physical, and always exciting to see my vision start coming to life. The head of the cow elk is removed for ease in modeling the critical details of the head without standing having to stand on a tall ladder. I will attach it later. The calves are about 95% completed. In the background, the original bronze study (maquette) for the monument is ever present for easy reference.